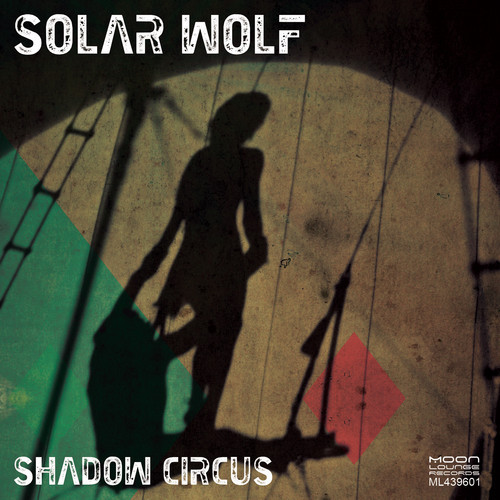 Recently I was lucky to receive an invitation to explore the superb music created by Solar Wolf. Solar Wolf are a UK based trip hop, ambient & dub live act, whose live performance is a soundscape experience. Though I haven’t experienced them live yet, I listened to the radio program of their live performance for BBC Introducing ‘The South Live Lounge Gig’ on BBC Sussex, which was aired last Saturday. You can watch the video for one of the tracks from this live performance below. The podcast here is only available until 15th November. Last month, they released the new album “Shadow Circus”, featuring the guest vocals of Michelle Emdee Denny. They create cool unique sounds with bass, drums, scratching, samples and synths. It was said that following the release of their 3rd EP “Strawberries & Green”, they were taking the UK electronic and trip-hop scene by storm. After the release of “Shadow Circus”, I am sure they are building a solid foundation to stand on and represent UK ambient and trip hop to the world. Solar Wolf say that their live incarnation brings together four musicians and guest vocalists with a wide range of influences and experience of improvisation to expertly mix live instruments with technology and electronics, giving their highly atmospheric live show an intriguing, free, ambient and cinematic feel. Their website is all you need to find out more about Solar Wolf.